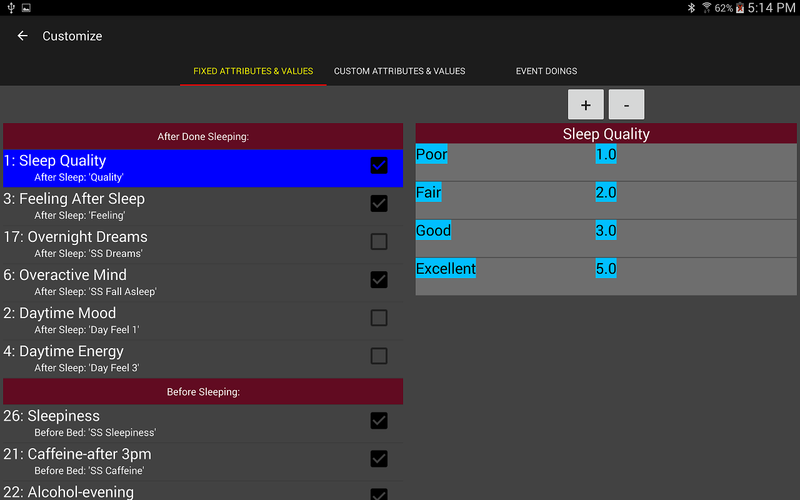 I've just published the first beta release of the ZeoCompanion Android App for the Zeo Pro Sleep Manager. Most features are present and operational, including Integrated Sleep Journal, Customizable Journal Attributes and Values, Integrated CSV Export with Starting Date, Automated Daily CSV Email Export, Integrated Sleep History. Features not yet supported: Dashboard Trends Tab, Sharing a Daily Results Image. It is true freeware (no in-app purchases). I'm looking for some beta testers that will give me feedback and bug reports. The ZeoCompanion App cannot alter or delete the Zeo Pro App's database, so no matter what, your baseline Zeo sleep records are safe and secure. I don't want to publish it yet on the Google Play Store since its still a beta and needs testing. Because of the size of its displays and dense content, the App is only configured for Tablet-sized devices, not Phone-sized devices. I only personally have a KitKat Android Tablet, and it works well on Android 4.2.x; it worked well on the Android 6.x emulator, but I have no way of testing on the numerous hardware platforms out there. Version 0.9.5a of the App is now available at Github. Considerable improvements were made in the GUI for an Amazon Fire sized tablet. Plus a User Guide for the app has been written. Version 0.9.7f posted to Github. If anyone is using the ZeoMobile headband and using Sleepyhead and wants to import their Zeo Data into Sleepyhead, this version does support that. This version also supports archiving of your Zeo App data. Plus an extensive User Guide. 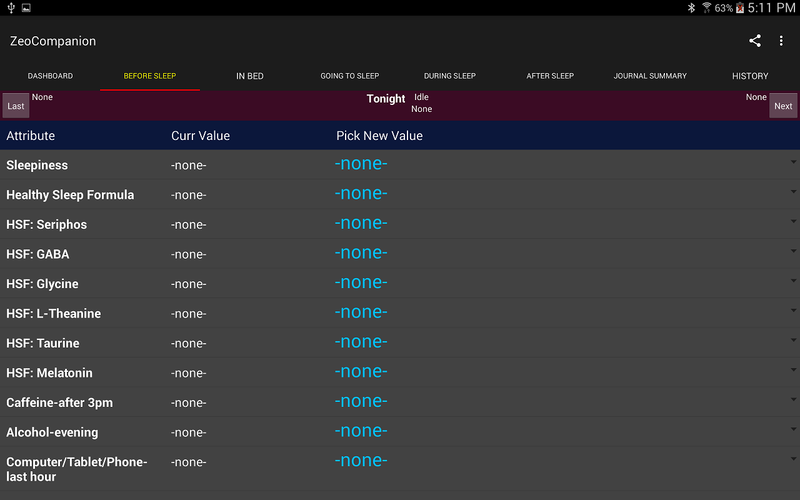 And if the optional Sleep Journal is used, annotated hypnograms and amended Zeo results are provided in parallel to the Zeo's original data. 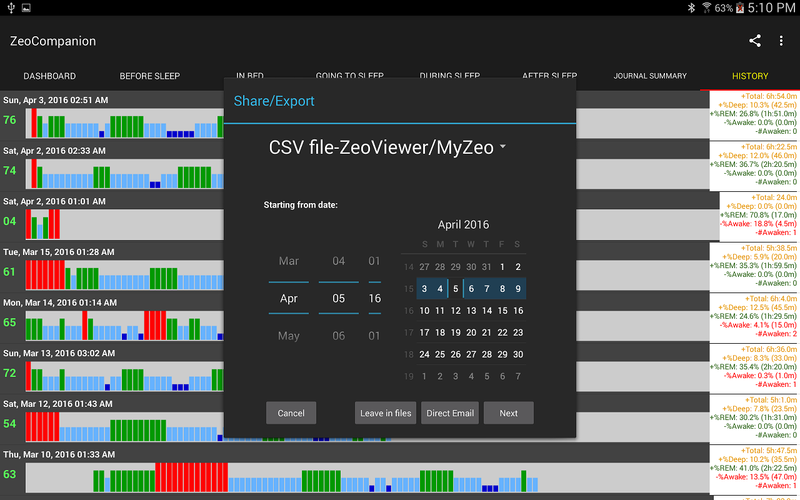 The freeware "Companion for Zeo" Android App is now available on Google Play App Store and Amazon App Store, as well as on Github, where all the source code has just been released. Google forced me to rename the App. The advantage of using one of the stores is you will get updates notices via those stores. 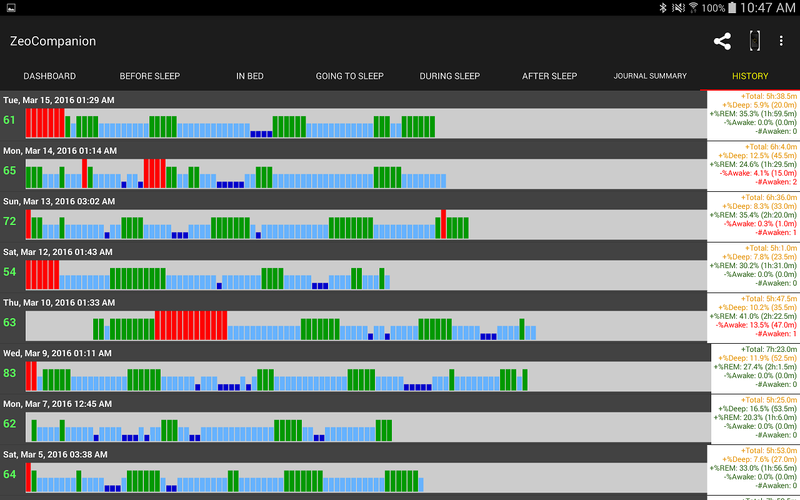 Future versions will include simple trend analysis, simple cause-effect analysis, and simple sleep cycle analysis. Tracking sleep quality: Zeo second hand an option? I've updated the description of ZeoCSV to link to your app, as it is a great replacement, and massive extension. I had briefly talked to Woody about his Zeo Data Viewer since he was thinking of changing his data import of the CSV. Unfortunately, his App and the Sleepyhead App expect the CSV to have different content for the various time accumulators (the minutes vs epochs thing). It looks like the myZeo site exported as epochs rather than minutes, but their documentation said minutes, so now we've got different Apps expecting different CSV contents. I'm not sure if he plans to change or not. So, I have a ZEO database on two different IOS devices. Is there a way to get to the data and perhaps combine the databases using your app on an android tablet to consolidate and look at the data? I'm not quite sure if it would be possible. The first problem is getting the Zeo App database's off the iOS devices. On Android, the Zeo App databases are locked down tight if you are using a 4.x device or later. I have no experience with the iOS App, so I don't know if you can pull those database files off the iOS devices or not. If you DID get them off the iOS App, its possible you could use the Zeo Viewer Windows and Mac App (www.alienrat.net/software/zeomonitor.html) to import those databases. The author did build a database file import mechanism, but I have no idea if it works with iOS-type SQLite database files. Also, if you did get the iOS Zeo App databases downloaded off the devices, I could certainly add an import function if you sent me those database files to test with. I have worked with iOS SQLite databases before on some iOS Apps I wrote. I had not thought of a feature to allow end-users to migrate their data off mulitple devices into one device. It may be a useful thing to add. Thanks so much for this great app, it made it possible for me to get back to using Zeo again. I have occasional sleep apnea but don't use a cpap mask these days. I wonder if there is anyone out there that has experience as to what episodes of sleep apnea look like on the sleep record made with Zeo. Yes it can read both databases to the best of the data I have available. I am more confident with the iOS database than the android one, due to the level of data I worked with. I' ve had sleep issues since late December, for no discernable reasons. Basically I wake up 4-5 times a night, said nights are short. I've started to question how this affect my health and performances. Reading some papers I came across some mentioning Zeo which appeared to meet my requirement for tracking data but in the same time I discovered the company closed down. I can buy a second-hand set from amazon. But will I be able to read and keep track of the data? I'm not reallly a geek and while I can probably perform some geeky dance around, there are limits to my skills. Are you aware of a way to "start from scratch" with Zeo? This seems to be such a great technology that I would naively have thought some replacement was around. For example is there any new development on this earlier news about a new band for Zeo? Have you considered using currently commercially available tool such as Shepherd Blue (turning off the stimulation) or some HR based wristband? It all depends on what kind of data you want to collect. 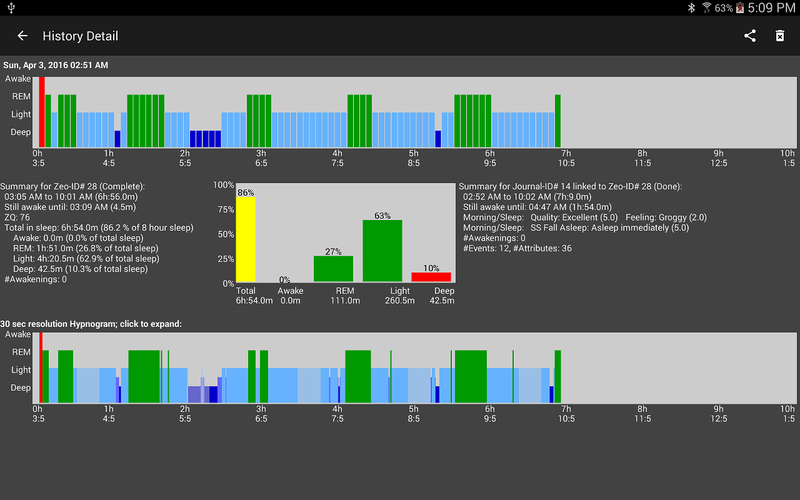 If bedtime, sleep onset, onset delay and WASO type of data will do the job then actigraphs will do for you. Correct me everyone if I am wrong but headbands only have the added benefits of 1/ better tracking bed movements and 2/ adding some a bit less rough sleep cycle data. But I still doubt anything less than a bunch of electrodes glued on the head will give a precise sleep cycles description. A company rumored to be ResMed bought all the Zeo Inc's intellectual property, including the sleep algorithms, trademarks, and copyrights, but has never released any new product that utilized that information. The original Zeo Sleep Alarm clock had a mode that allowed anyone direct access to the sleep waveform itself, so perhaps others could develop separate sleep algorithms (say for specific sleep issues or for lucid dreaming). They are still available, but sellers want a lot of money for them, and its not likely their headbands have remaining usable life but can be re-padded (see below). The latest Zeo Mobile for Android and iOS does NOT have such a mode, though there were indications in their code that a "Test mode" was available that could have sent that waveform to the Android and iOS Apps via bluetooth; no means via postmortem was found to activate that mode. About 2,600 of these Zeo Mobile units (sealed headband, sensor module, charger) were sold in Jan thru Mar of 2016 for only $40 each by a surplus supply reseller. There is an individual that was thinking of making and selling re-padded headbands. See http://zeoband.com. One group is developing a new complete sleep monitoring system (focused more on lucid dreaming) that could replace the Zeo. However it is considerably more expensive than the $40 for the recently sold Zeo Mobiles. See http://iWinks.org. I have no idea if that product is related to your original question about Philipp Kalwies statements ... there does not seem to be any further information about his "prototype" and what the "hardware hack" is. a) it is quite possible to keep a Zeo Mobile or a Zeo Clock system going for a long time by just replacing the sensor pads (either DIY or by buying someone's replacements). And others are looking at creating replacement tech. However, the total available market for something like a Zeo is quite small, and the likelihood of any new commercial efforts being successful long-term are slim. b) Given tools like the Raspberry Pi and the ability to make homebrew headbands, it would be quite possible to create a hobbiest "Zeo" that is truly and totally freeware and open-source (not just some API into proprietary-ware) that has open-source free community-developed sleep algorithms, indeed multiple algorithms for different sleep issues. Great job with the Companion for Zeo app. I don't know how I missed it, as I have grabbed everything Zeo or really anything personal EEG related for the last two years or so. As to replacements for the Zeo, I've been following the kickstarter projects like iWinks and Sleep Shepherd and I'm not at all happy with the closed nature of their products, but then again the Zeo was a closed system until their engineers opened it up just before the company folded.